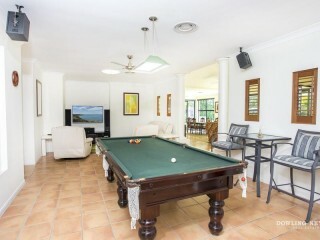 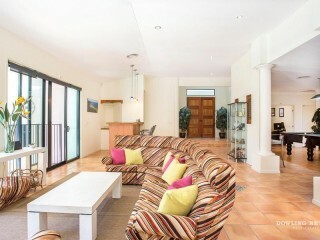 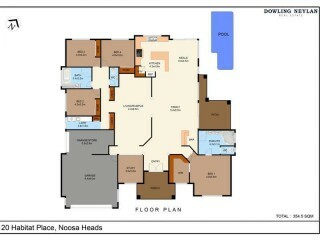 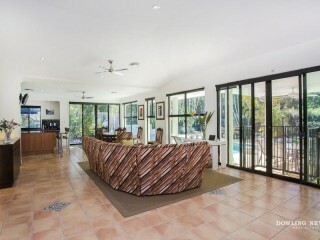 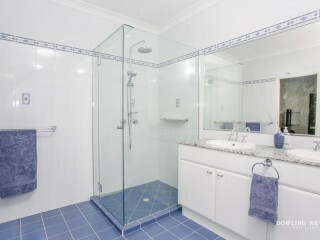 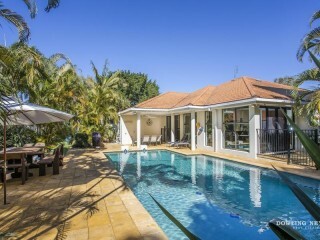 Embracing every aspect of family life, this 4 bedroom residence spread over ? 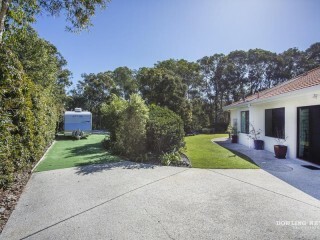 an acre offers multiple living spaces and spacious proportions throughout. 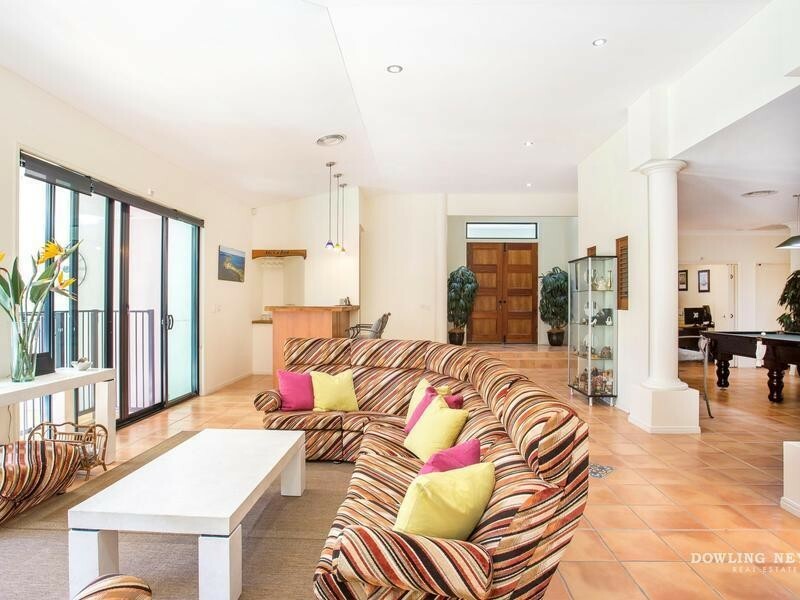 As you walk through the grand entry of this home you're greeted with a 3 metre high raised ceiling which overlooks the family living and casual meals zone, opening to North facing gardens and pool area. 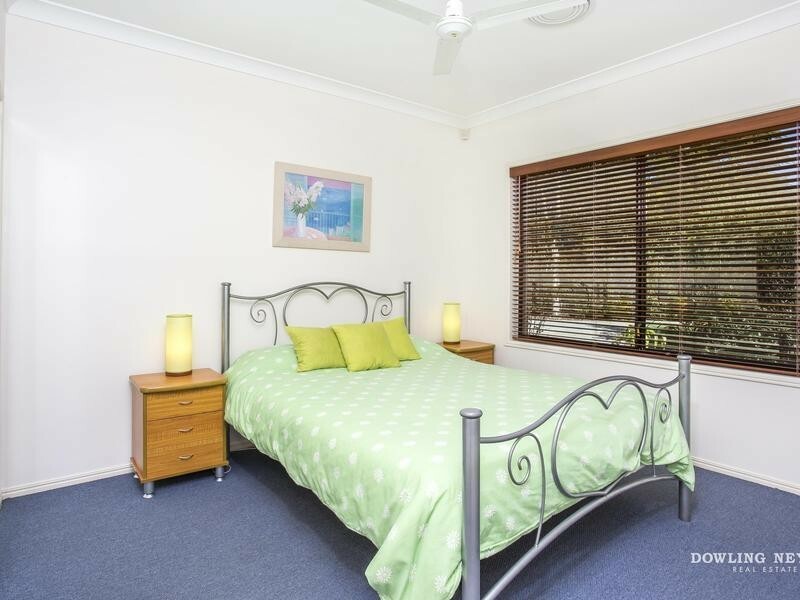 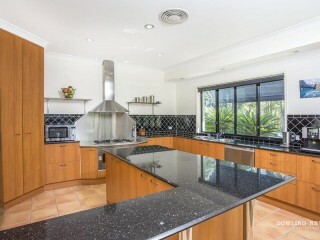 Family sized kitchen with solid granite stone benchtops and Smeg appliances, combined rumpus/billard room and a spacious home office behind bi-fold doors. 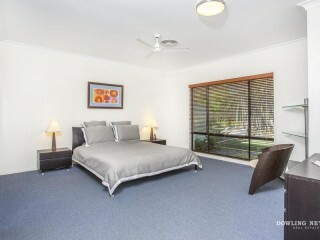 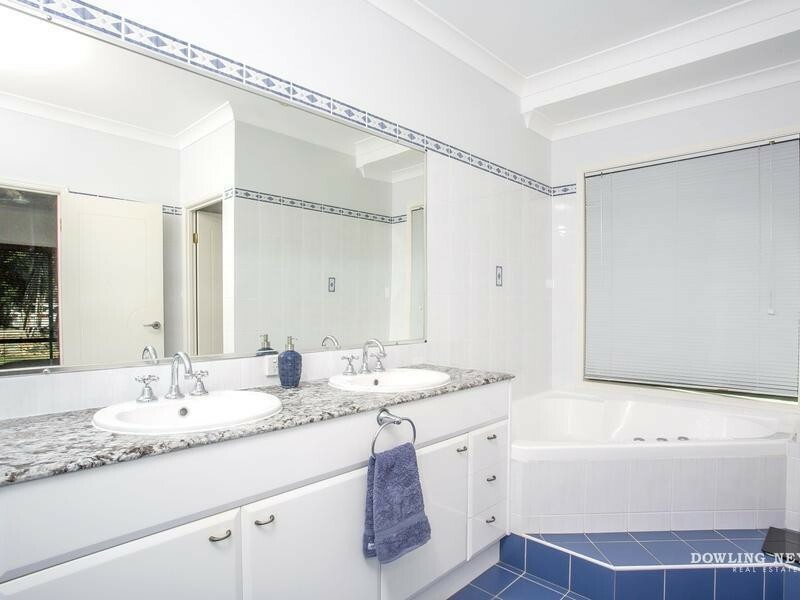 The master bedroom offers a walk in robe and double basin ensuite while the other 3 bedrooms offer built in robe storage and are serviced by a central main bathroom. 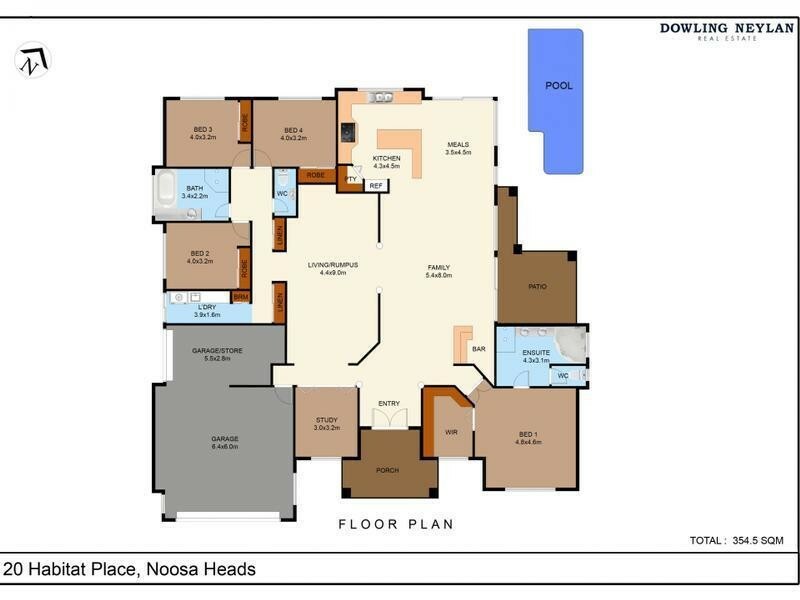 Other internal features include zoned ducted heating and cooling, low voltage down lights, alarm system and a double garage with access for a 3rd vehicle or spacious work shop. 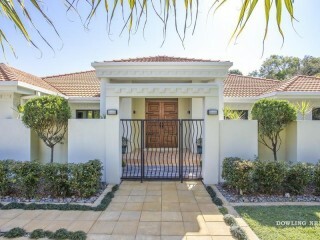 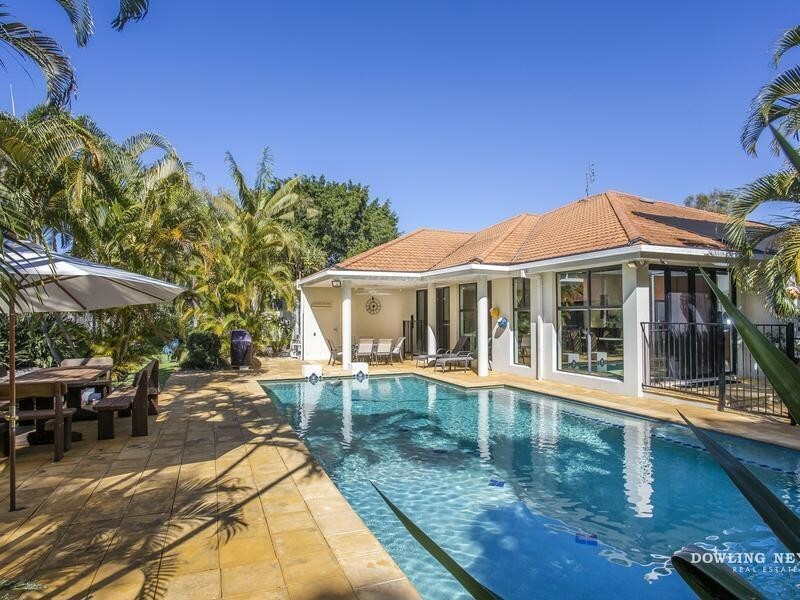 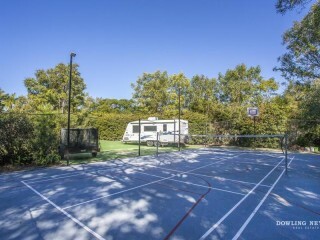 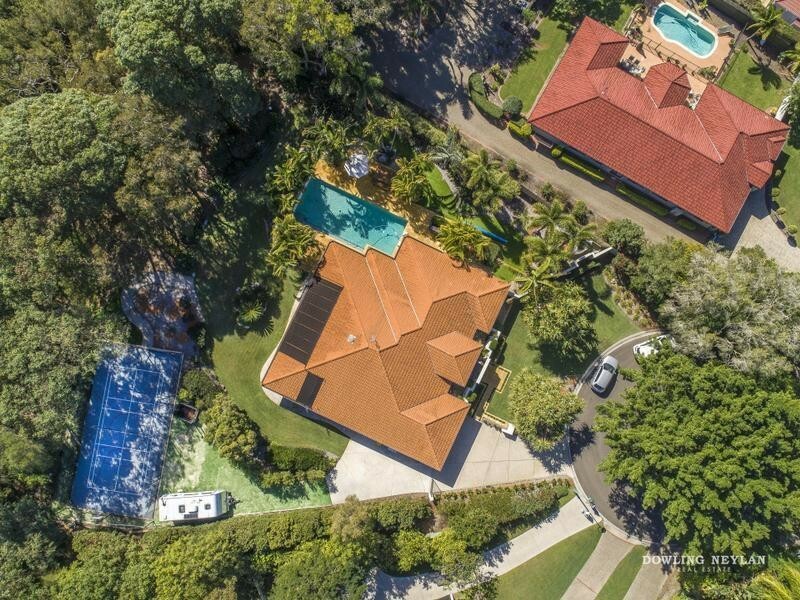 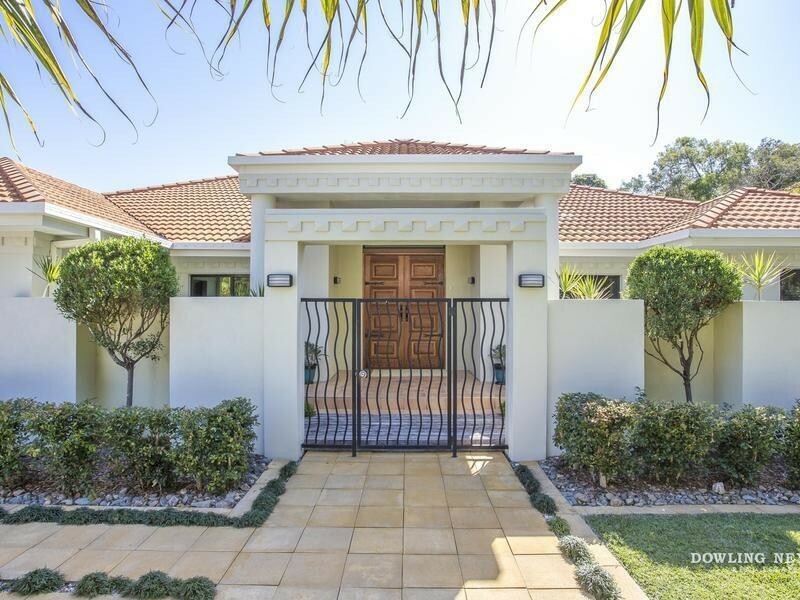 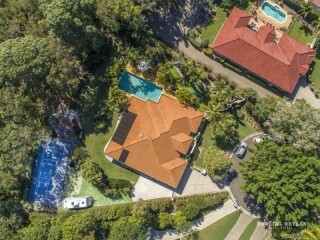 The exterior of the home is complimented by a floodlit multi-purpose play court, solar heated pool surrounded by a number of outdoor entertaining zones ensuring an exceptional family environment. 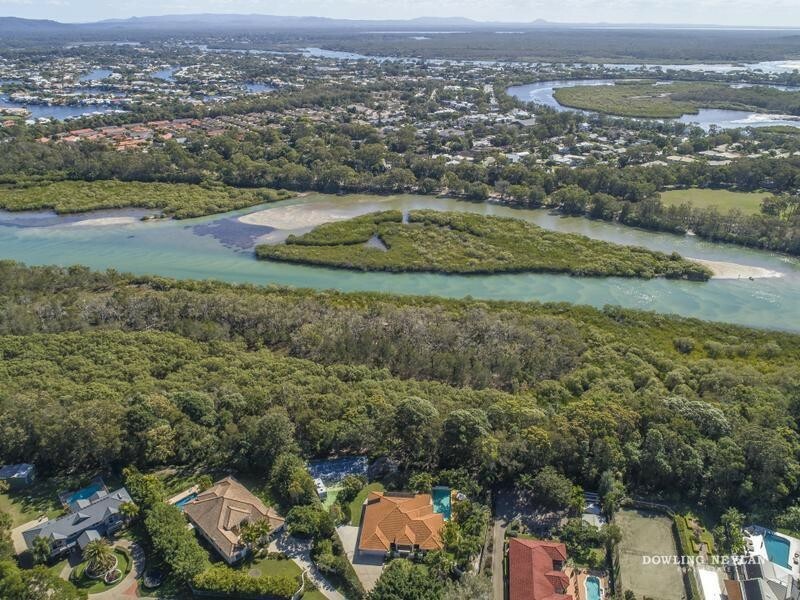 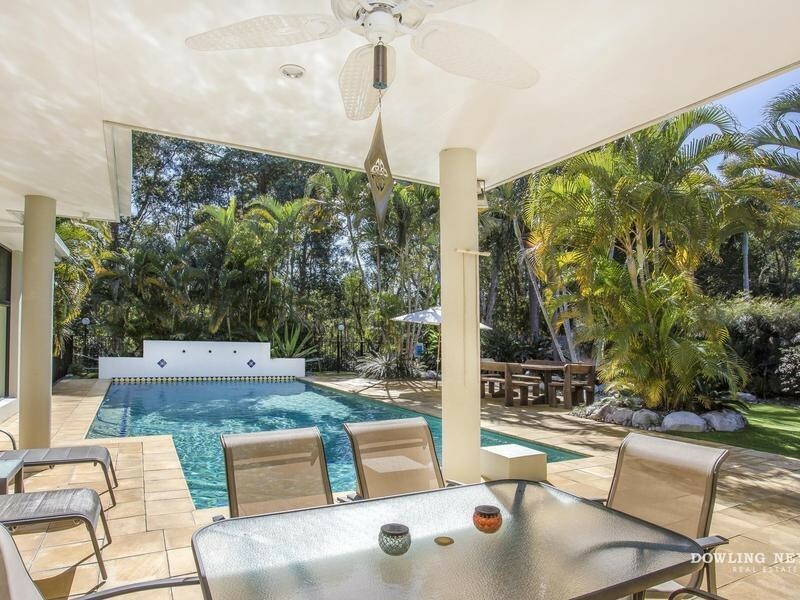 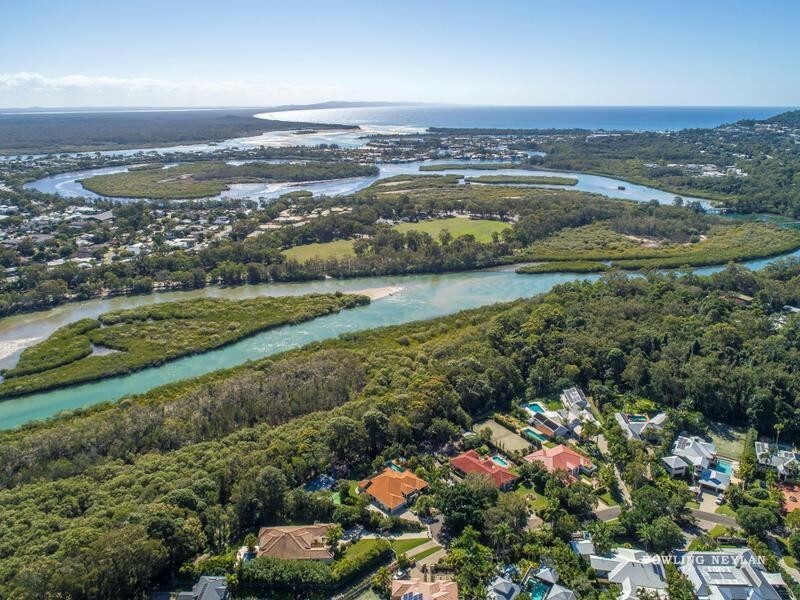 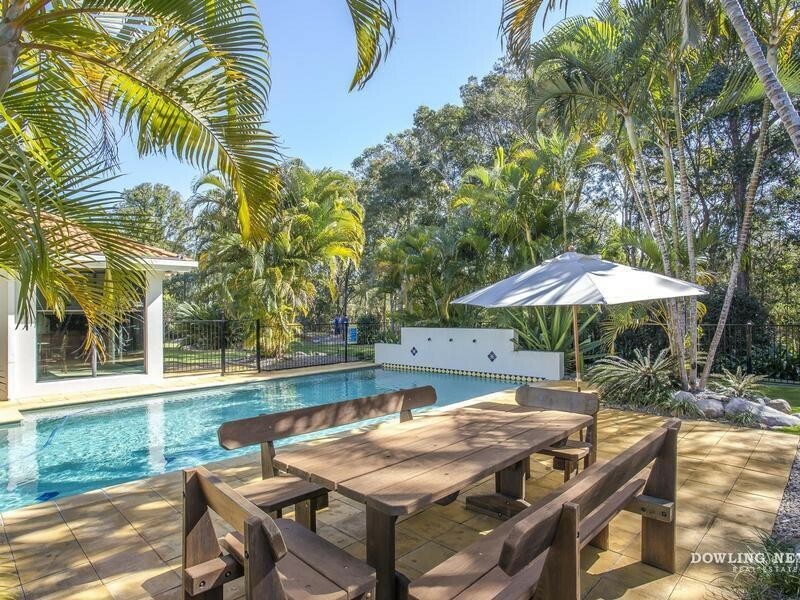 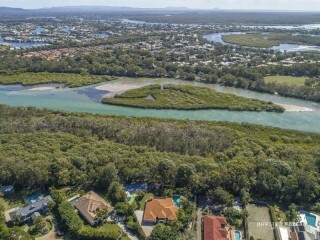 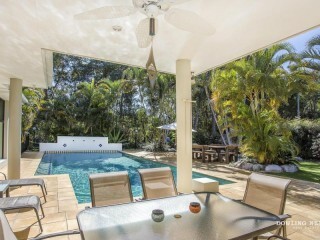 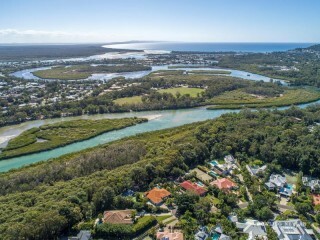 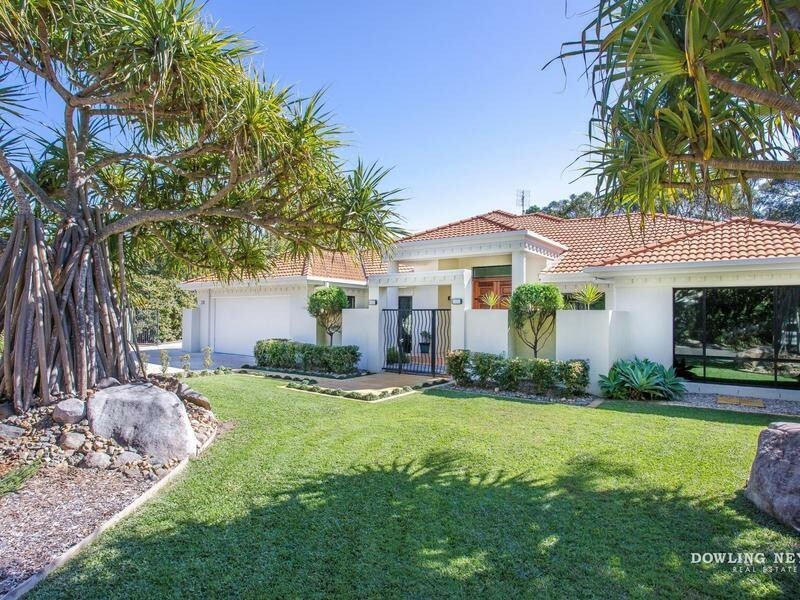 A perfect blend of tranquil living incorporating your own bushland backdrop leading down to the waters of Weyba River within a secluded pocket of Noosa Heads.